River Oaks Chiropractic always appreciates feedback from our valued patients. To date, we’re thrilled to have collected 5 reviews with an average rating of 4.2 out of 5 stars. 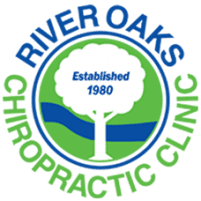 Please read what others are saying about River Oaks Chiropractic below, and as always, we would love to collect your feedback. I had a great experience. Dr. Donald has a fantastic bedside manor. Very nice and personable. Ms. Becky is a sweet lady and very funny. I felt better after leaving the first time. I'm excited to see my progress! Awesome no regrets what so ever. The staff is attentive and professional. The exam was thorough and the Doctors take the time to answer all of your questions.